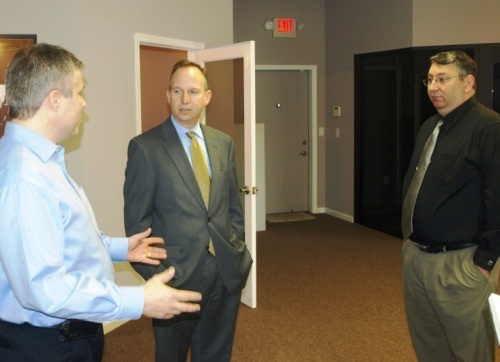 Delaware Governor Jack Markell stopped by Delmarva Digital's Laurel facility for a tour recently to discuss Delaware economic development and job creation. The governor's tour included the contemporary architecture of the facility interior areas and the specially engineered server room with biometric security. He also viewed a recent video production in the conference room which is equipped with the latest tech. The tour concluded with a view of the back-up power generation plant.